Each month we’ll be exploring the life of design through the eyes of a designer, from daily banalities to their award-winning triumphs. We’re hoping to provide a glimpse at the working processes involved in being a professional designer, as well as the diversity of studio spaces, approaches, methods and means of inspiration across the globe. 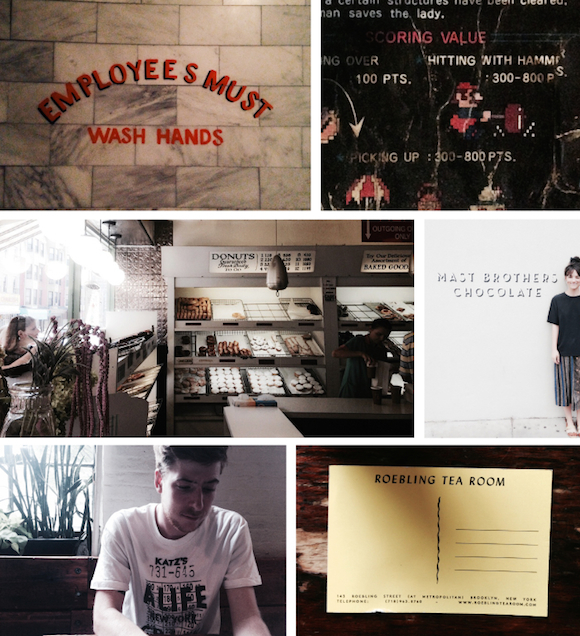 For August, we got a peek at the life of Motherbird’s Jack Mussett. The second in this series is Noemie Le Coz, a Melbourne-born designer, currently living and working in New York City. 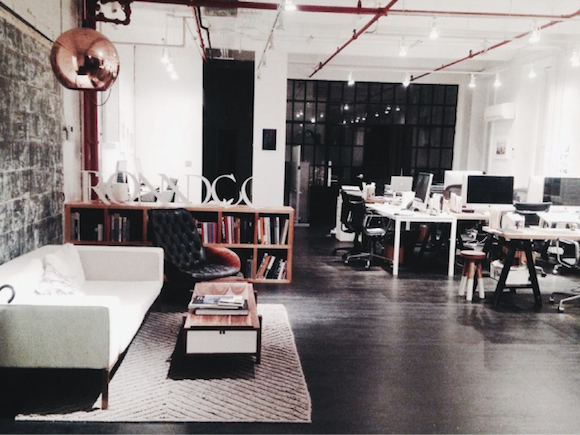 Noemie documents her busy September for us, which includes moving from Pentagram to RoAndCo. Hello desktop readers! I’m not used to doing this sort of stuff, and I love desktop, so it’s really cool to have been asked. My month started at the Mets stadium. Baseball is actually pretty fun to go to in NY. 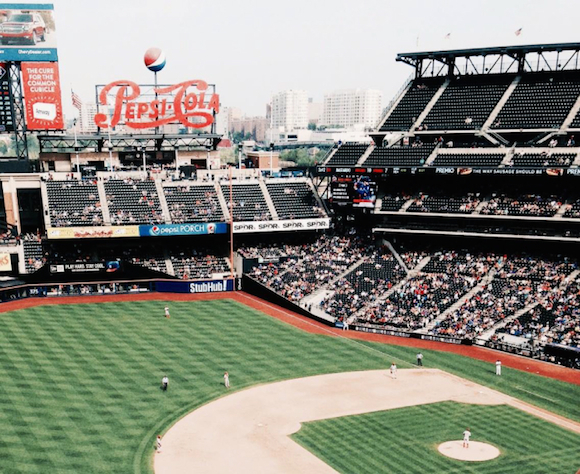 Huge nachos, cute kids in oversized jerseys, a national anthem, that gorgeous vintage Pepsi Cola signage and memories of A League Of Their Own. Geena Davis, what a saint. 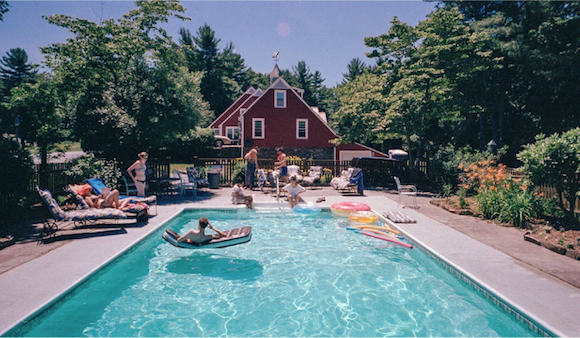 Today is Labor Day, and a friend of mine Calvin has just posted this shot of us onto his site This Honest Life of our last public holiday weekend away upstate, which made me sad that summer here’s ending and a pool full of inflatables will soon go back to being a complete figment of my daydreams. That’s my boyfriend Jeremy on the ice-cream sandwich floatie. This month is a big one for me career-wise. I’ve just finished up a 15 month stint at Pentagram New York, which was pretty eye-opening — it’s a big place, full of talent, hard work and history. The best parts were being surrounded by designers like Paula Scher and Michael Beirut, the incredibly huge and delicious daily buffet lunches that I’ll never forget and the seasonal rooftop parties that they let us bring our friends to. My creative director, Emily Oberman, helped make the Talking Heads music video for (Nothing But) Flowers and Benetton’s critically acclaimed magazine Colors – so with a penchant for branding in the entertainment industry, Emily brought in clients for me to work on like 21st Century Fox, The Tonight Show Starring Jimmy Fallon, a pilot for Tina Fey, Adobe and Saturday Night Live. While Pentagram was a real privilege to work for, I definitely missed being at a close-knit smaller studio, having worked at the boutique-sized Studio Binocular back in Melbourne for over three years before making the big move to NY. So as of last week, I’m at a shiny new job at RoAndCo – a studio based in Soho, specialising in branding, interactive, art direction and print work for fashion and lifestyle clients. My new creative director, Roanne, is one incredible lady and I’m so happy to have made the move. 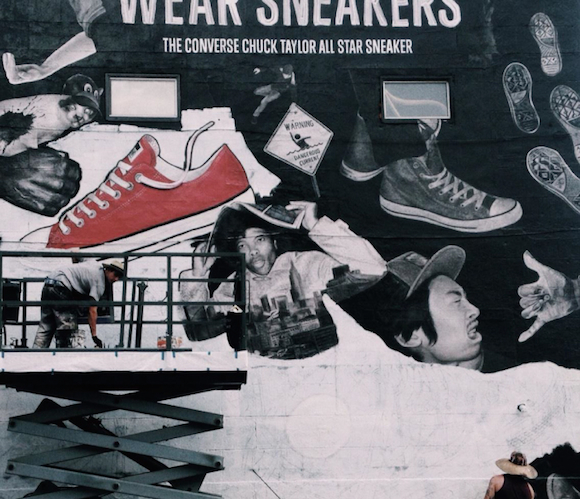 A trend over here seems to be the installation of these amazing, intricately hand-painted commercial advertisements that are being put up all over Brooklyn. The detail in them is so good that from a distance you’d think they were photographs, but in typical New York fashion they’ll be painted over for new ones before the fortnight is up. Definitely keeping these two men in good business. Big sleep-in and brunch with Jeremy at Café Colette in Williamsburg. All the food places over here have to put up a sign that says ‘Employees Must Wash Hands’ but these guys have taken what would be a mundane legal requirement and made something cool of it, which I like (see pic below). We didn’t have any plans all day so we just took an impromptu tour of some favourite places – starting at Barcade (an incredible bar full of old arcade games like Tetris and Donkey Kong), then Peter Pan Bakery (a neighbourhood institution that sells actual ice-cream donut sandwiches, not joking), Mast Brothers Chocolate Factory for free chocolate samples and Roebling Tea Room for good coffee. Jeremy and I have recently started our own little freelance duo called Little Troop – in the reasonably make-shift studio space that is our spare room. He’s a digital art director, which means we can accept design jobs that handle lots of web stuff. 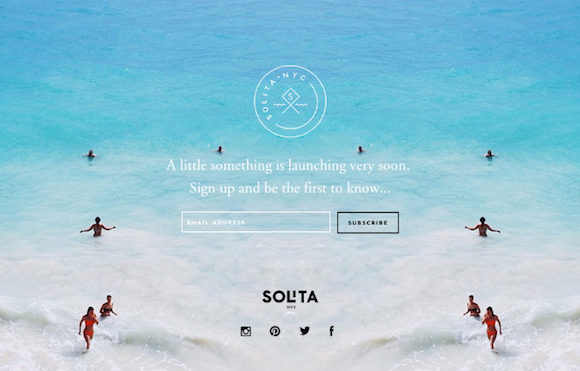 Today we’re working on the holding page for a brand I’ve just designed the identity for, Solita NYC – a line of bags designed and made in the USA from vegetable tanned leather and Peruvian handwoven textiles. BAZ is a cute coffee shop, just a block from RoAndCo – most mornings I’ll pop in, and this morning I especially needed it. Today I’m working on a brand book for a fashion label, Loeffler Randall, and a brand exploration for a furniture and lighting online marketplace, WorkOf. Working for fashion and lifestyle clients has been really fun so far – there are different problems to solve than I’m used to, and suddenly I have all of these beautiful assets and photography to work with. Led by a team of incredibly awesome and talented people, the studio runs a pretty tight ship, which makes my job easier and means there isn’t too much I need to worry about other than designing nice things! This afternoon we were sent samples from the printers of my first print job I completed a couple of weeks back – gold foil and all. This weekend, a big group of friends and I took a bus upstate for a music festival in the Catskills. We stayed in a kid’s summer camp, and it rained most of the time we were there, but it was still really fun. No designing, no photos, no big city. We saw the stars! I barely recognised them. 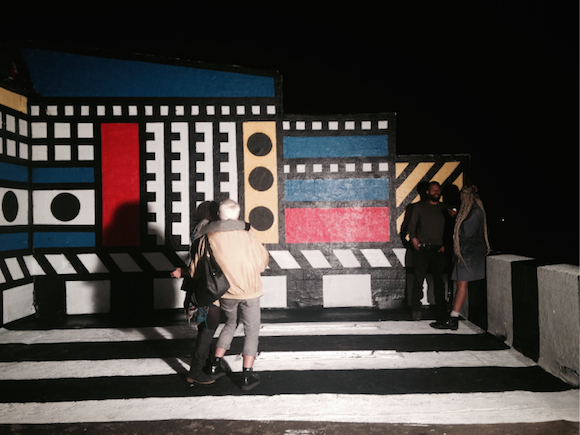 Tonight I went to the opening night mural viewing of one of my favourite designers, Camille Walala. I’d been following her on instagram for ages and tonight I got to meet her. She makes these humungous amazing hyper-colour memphis-like murals and installations, and seeing one in person, on a Brooklyn rooftop, was quite something. She’s also French, and the genius behind those dreamy Third Drawer Down walls. 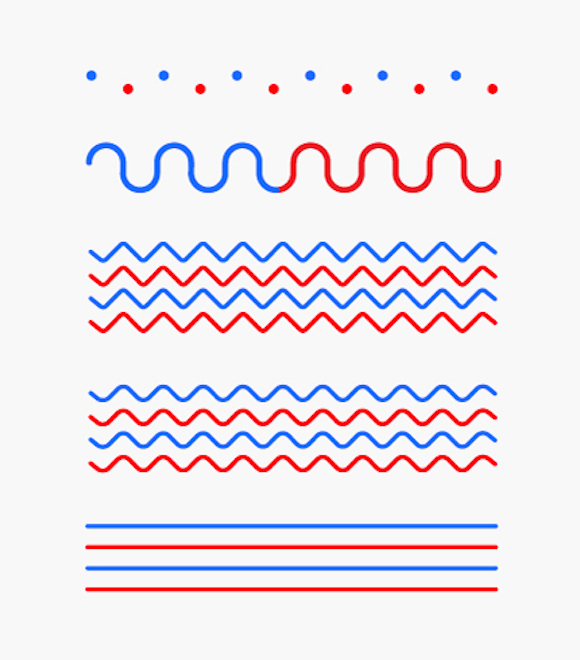 Another opening night tonight – this time, the New York Art Book Fair, presented by Printed Matter. 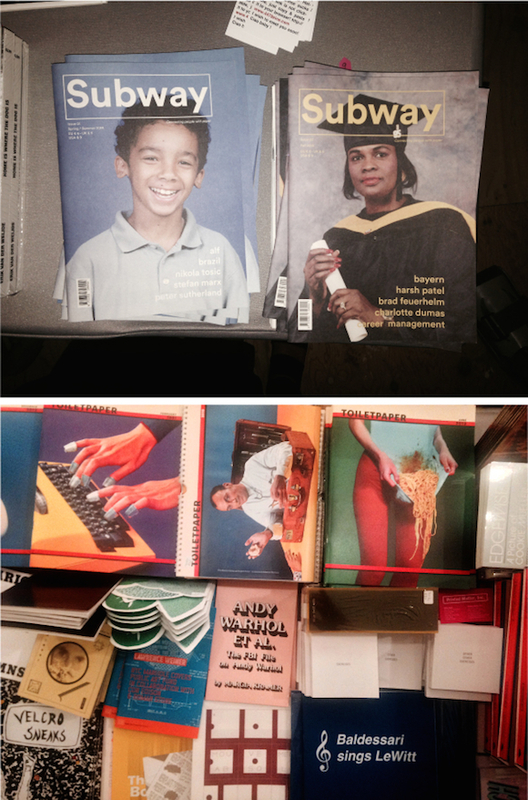 Held at MoMa PS1, the fair shows over 350 booksellers, artists, institutions and independent publishers from 28 countries. Heaven. Coffee this morning at Happy Bones – a shop run by a team of Aussies and Kiwis, they serve up good coffee in cute cups, along with local art and nice publications. 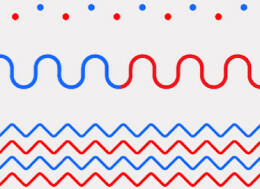 Veteran RoAndCo designer, and absolute genius Lotta Nieminen, designed their identity. Today, my creative director Ro is in Chicago, giving a talk on branding at the Brand New Conference. I helped out in putting together her presentation, which ended up giving me a big insight into her background and the studio’s history. Her first job out of college was at Wolff Olins, definitely my favourite studio out of the bigger ones over here. 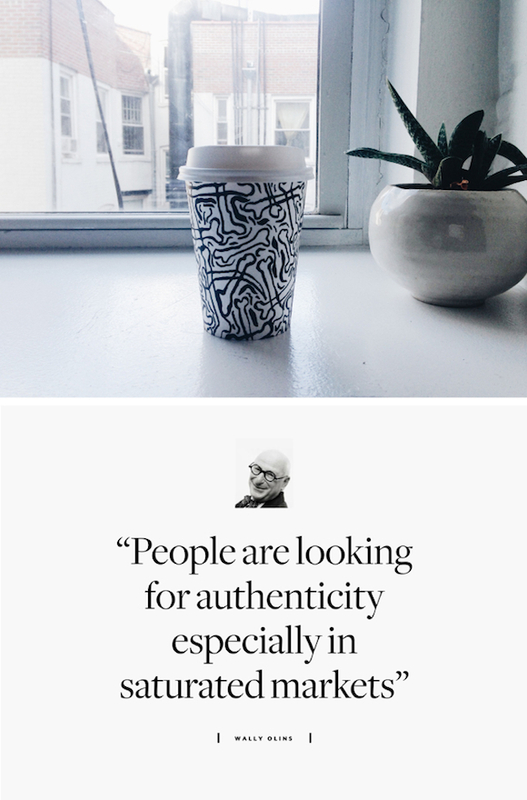 The presentation is filled with wise words from some serious design big-wigs, like Wally Olins, the man himself. RoAndCo is located in what Ro has aptly named ‘Cholita’ – right in the middle of two of my favourite, but possibly most underrated places in Manhattan – Chinatown and Nolita (home to Little Italy). The intersection of cultures makes for an often pleasantly dramatic commute to and from work, as well as my dream combination of lunch options – with Italian cafés and gelato stands alongside Vietnamese restaurants, Chinese fish markets and, on that note, smells. I also really like the design influences – the vintage shop signage is completely amazing but my favourite thing is looking at all the food packaging in the Italian delis and Asian grocery stores. 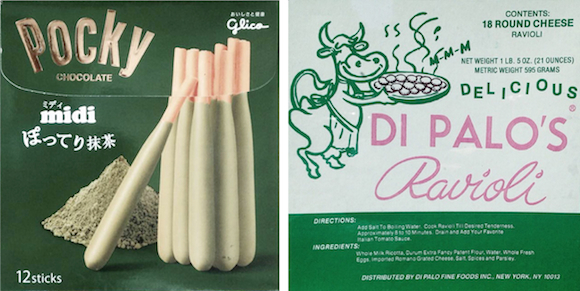 Below are two good examples – the right, ravioli from Di Palo Fine Foods, a 100-year-old Italian specialty deli, which I love almost as much as the left, Pocky, absolute design genius found at a huge Chinese supermarket. Finishing up the month with a late one tonight, tidying up a presentation deck to send off for my most recent and exciting freelance job. Earlier this year, Louise Bannister and Lara Burke, the founders of Frankie Magazine and Smith Journal, left Frankie Press and started a new business together – part creative agency, part boutique publishing house – We Print Nice Things. We’re currently branding an Australian digital radio station for kids and parents. It’s called Kinderling, and it’s a really brilliant concept – music, fun and learning segments for kids, offset with a digital neighbourhood for conversation on the art and science of parenting. Keep an eye out for it – it’s set to launch later this year. Tiny snapshot of one work in progress below.